Boring tuna salad gets a makeover in this tasty lunch! 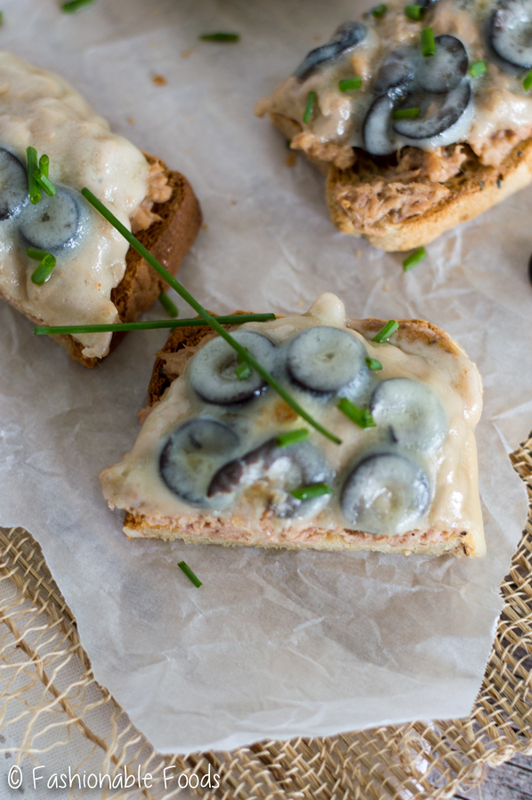 This open-faced balsamic tuna melt is bursting with flavor, plus it’s quick and easy! Despite the dreary weather, I’m feeling quite happy today. It must be because the weekend is here! Let’s hope the rain stops and we get a nice weekend. Can you believe that it’s the last day of March?! I typically always complain about March because it just seems to drag on and on, but this one seems to have just flown right by. I’m hoping for a nice and sunny, not-too-rainy April. Speaking of the month of April… tomorrow (April 1st) is my niece’s 3rd birthday. My sister is taking her and a few of her little friends to a salon for kids and they can get mani/pedis. How cute is that?! 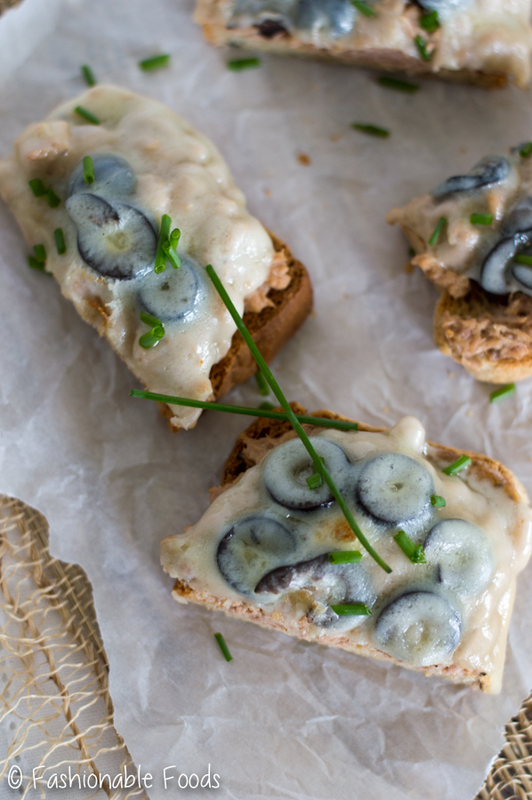 Alright, let’s talk tuna melts! I know it’s not the most glamorous food out there, but I love a good tuna melt. Today’s version is inspired by one that I had at a restaurant I used to frequent in my early college days. It’s been years since I’ve had that tuna melt, but it was so memorable that I still think about it! It’s essentially just tuna salad with balsamic vinegar added… but that combo is SO GOOD. Seriously. 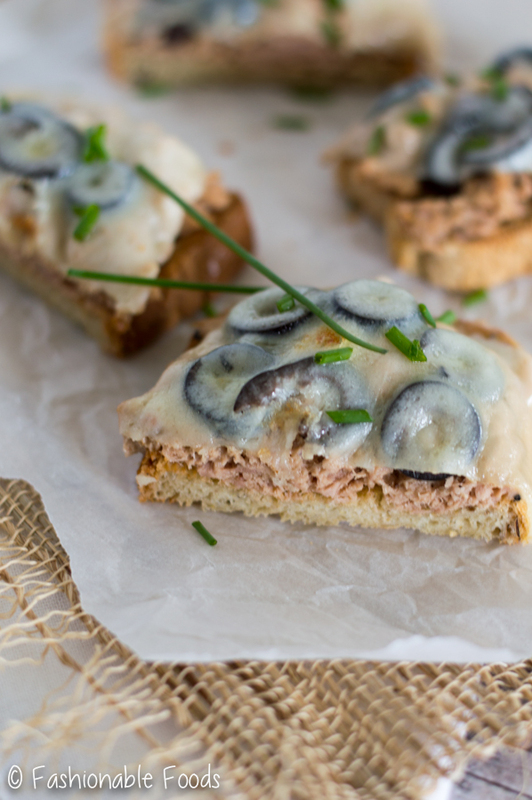 Balsamic and tuna = match made in heaven! 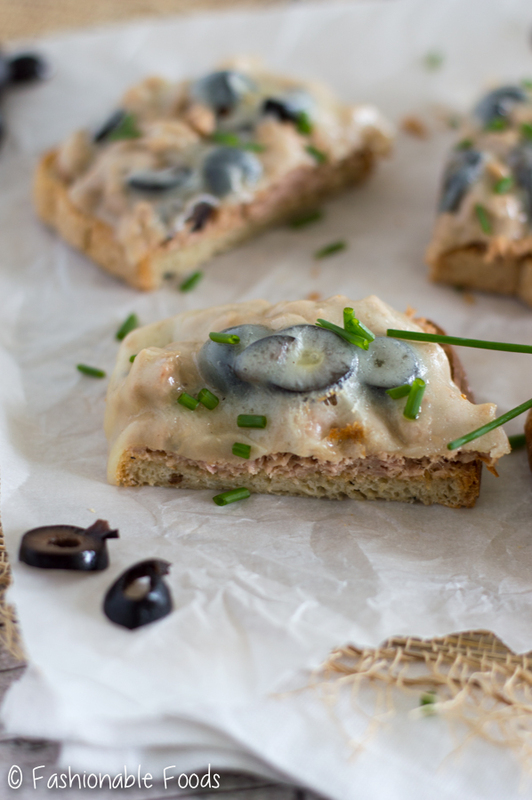 Open-faced is so much prettier than a sandwich, in my opinion. Plus, it maximizes the cheese. ? Side note on cheese and tuna… I typically HATE cheese combined with any sort of fish. My exceptions to that are shrimp scampi (topped with parmesan) and a tuna melt. 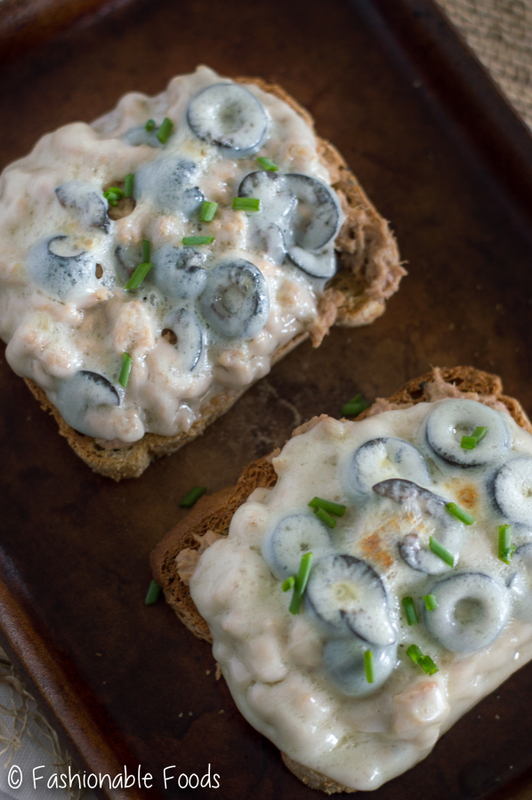 Ok, now that we have that out of the way… I like to use provolone for these tuna melts. 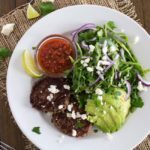 I love the flavor of a mild provolone with the balsamic vinegar. 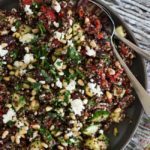 The melt that inspired this recipe also contained black olives, which I thought was just genius! I really love any kind of olive, but if you aren’t a fan you can leave them out. As for the bread, you can really use whatever you like. I went with a gluten-free rye bread because I’m obsessed with rye bread. 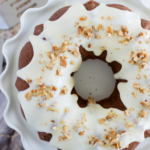 You can use simple ole sandwich bread, or something fancy.. anything goes! We toast the bread and then rub it with garlic, which gives a hint of garlic flavor to the whole melt. It’s so delicious! I just ate one of these melts and I’m salivating for another… ? Combine the tuna, mayo, and balsamic vinegar in a small bowl until well combined. Season the tuna with salt and pepper to taste. Place the bread under the broiler to toast it – keep a close eye on it. I like to flip it halfway through so that it toasts evenly. Once the bread is toasted, rub each slice with a cut clove of garlic and lay them on a baking sheet. 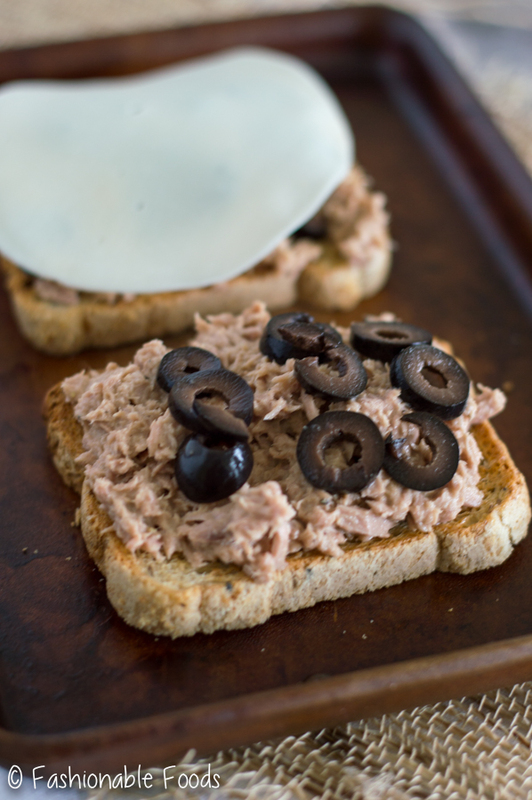 Divide the tuna equally among the bread and top each with olives, if using. Top each with a slice of provolone cheese and pop them back under the broiler to melt the cheese. Keep a very close watch as this happens very quickly! 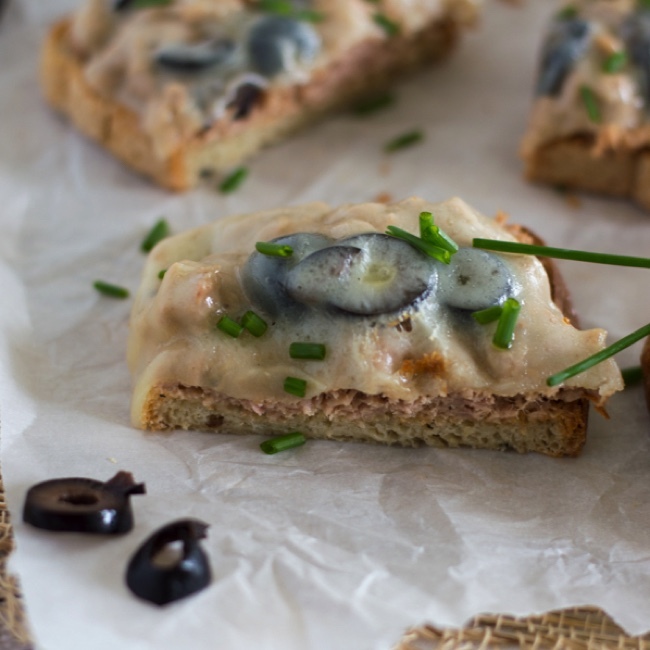 This recipe makes 4 open-faced melts. *I don't like a lot of mayo on my tuna salad, so I use 3 tablespoons, but you can use your desired amount.